Finding easier, cheaper and faster solutions for deep renovation is a goal we have in common with other interesting projects. We are glad to share experiences and knowledge with other experts in the field. If you work for a similar project and would like to collaborate in dissemination activities or to be added to our project cluster, get in contact with us! P2ENDURE is a research project within the EU research programme “Horizon 2020” that stands for Plug-and-Play product and process innovations for energy-efficient building deep renovation. P2Endure mainly aims to provide scalable, adaptable and ready-to-implement innovative Plug-and-Play prefab solutions for deep renovation of building envelopes and technical systems. The innovative solutions will be complemented with a proof-of-performance, which is based on pilot implementation and monitoring in 10 live demonstration projects representing deep renovation characteristics in all main EU geo-clusters. Through this aim, P2ENDURE will ensure that the Plug-and-Play solutions are ready for EU-level market upscaling by 2020. The project demonstrates the most optimal solutions for deep renovation, which are characterized as affordable, eligible for rapid production and installation, as well as replicable, compatible and adaptable to the widest range of building types and geo-clusters across Europe. E2VENT is a H2020 founded project, whose main goal is the development of an Energy Efficient Ventilated Facades for Optimal Adaptability and Heat Exchange enabling low energy architectural concepts for the refurbishment of existing buildings. E2VENT will develop, demonstrate and validate a cost effective, high energy efficient, low CO2 emissions, replicable, low intrusive, systemic approach for retrofitting of residential buildings, able to achieve remarkable energy savings, through the integration of an innovative adaptive ventilated façade system. The proposed solution for building retrofitting should lead to 50% reduction of primary energy needs and significant CO2 emissions reduction. The main target of E2VENT system is the market associated to the retrofitting of multi-storey residential buildings built in the 60–70’s. Those buildings are found in all Europe and can be characterized by their insulation weakness, bad air quality due to the lack of air renewal system and low architectural interest. The DREEAM project provides strategies for cost-effective large-scale energy efficient renovations of residential buildings that can achieve a 75% reduction of total energy demand. The core of DREEAM is to identify optimal combinations of technologies, which can deliver highest energy reduction for a set of buildings, while at the same time, taking into consideration building owners’ financial capacity and the preferences of tenants. DREEAM focuses on social and public housing (representing 12% of the EU building stock), whose owners manage large portfolios of residential buildings with high potential for energy performance improvements. In such environment, the economies of scale can be best validated. On the one side, many activities and technologies become cheaper per unit. On the other side, smart energy management systems work best in connected systems. The DREEAM approach is implemented on pilot sites in the UK, Sweden and Italy, to validate the method in different environments and to develop replicable concepts throughout Europe. ABRACADABRA stands for Assistant Buildings’ addition to Retrofit, Adopt, Cure And Develop the Actual Buildings up to zeRo energy, Activating a market for deep renovation. This 3-year H2020 project focuses on the market up-take on energy efficiency, based on the prior assumption that non-energy related benefits play a key role in the deep renovation of existing buildings. The actions focus on the generation of a substantial increase of the real estate value through significant energy and architectural transformation, going beyond the minimum energy performance and aiming at achieving Nearly Zero Energy Buildings (nZEBs). ABRACADABRA aims to build confidence and demonstrate to key stakeholders and financial investors the attractiveness of a new renovation strategy based on volumetric Add-Ons and Renewables (AdoRes). These are a set of assistant building unit(s) – i.e. additions to the side, top or façade of buildings or even entire new building constructions – integrated with renewable energy sources. This synergy can reduce the initial investment needed for the deep renovation of existing buildings, supporting their transition towards nearly Zero Energy. A2PBEER is a 4 yearlong innovative European project implementing a cost effective energy efficient retrofitting methodology for public buildings, drawing on the expertise of over 20 partners. Buildings consume about 40% of total final energy in Europe. Energy efficient retrofitting plays an essential part in meeting the EU 20-20-20 targets. A greater impact on this can be achieved through interventions in non-residential buildings as their energy consumption is 40% higher than residential buildings. 30% of non-residential buildings in Europe are public buildings. Therefore, A2PBEER focuses on energy efficient retrofitting of public buildings. The methodology and developed retrofitting kits will be demonstrated and validated through 3 real retrofitting deployments covering the main climatic areas in Europe. In addition, the project methodologies will be validated on 3 virtual projects covering additional climatic areas and end users. An innovative market approach will enable the results to be transferred to all key players of the value chain, with special focus on SMEs, and the transferability to social housing will be also addressed. 250 trainers around Europe will be trained on retrofitting public buildings and districts. These will be aided with the use of an on-line Support Guide Toolkit for public building owners. 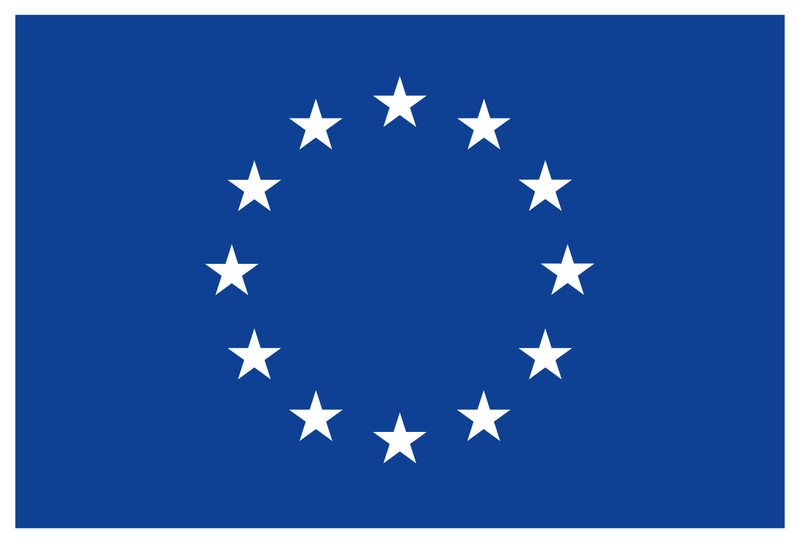 MORE-CONNECT stands for multifunctional building envelope elements for Modular Retrofitting and smart CONNECTions and it is funded from the European Union’s H2020 framework programme. The European building sector is at this moment not able to offer an integral solution for deep renovation toward nearly Zero Energy Building (nZEB) for reasonable costs. The building process is typically based on a ‘layered’ structure, with many labour actions on the buildings site, with many sub disciplines involved, leading to extra costs and failure risks. Due to the long-lasting renovation process and the failure risks during this process, customers hesitate to renovate their property. MORE-CONNECT tries to solve this problem by developing prefabricated, multifunctional renovation elements for the total building envelope (façade and roof) and installation/building services. These elements can be combined, selected and configured by the end-user, based on his specific needs. This information can be used as input into advanced Building Information Modelling systems to control and steer the further production process of these elements. In this way, unique series of one can be made in a mass production process for the same reduced price of mass production. BRESAER will develop a cost-effective, adaptable and industrialized “envelope system” for buildings refurbishment. The BRESAER’s envelope (for façades and roofs) will include a combination of active and passive pre-fabricated solutions which will be integrated in a versatile lightweight structural mesh. This new technology is expected to significantly reduce the building’s primary energy consumption and the Greenhouse emissions while improving indoor environment quality through thermal, acoustic, lighting comfort and air quality at the same time. ProGETonE stands for Proactive synergy of inteGrated Efficient Technologies on buildings’ Envelopes and is a 4-year H2020 innovation project. ProGETonE develops and proves an integrated approach to tackle two important needs in existing buildings: safety upgrades to face future earthquakes in seismic zones and nearly zero energy consumption to be aligned with EU climate change reduction targets. One important barrier is high investments to undergo a structural renovation and, at a minor scale, deep energy renovation needs important initial budgets. ProGETonE proposes a pre-fab approach to significantly reduce these upfront costs. In addition, it is followed a user-centered approach to involve actively the occupants in decision making process as well as taking into account their needs first-hand, thus increasing success in renovation outcomes for the users. ProGETonE will apply the new approach in the design of 4 demo-sites (Greece, Italy, The Netherlands and Romania), and in the implementation of 2 demo-sites (Greece and The Netherlands) to demonstrate the feasibility of this new integrated approach and test at real scale the implementation and social acceptance of the new high performing envelope, which offers as an option the extension of the living space. 4RinEu at EU Industry Days 2019!